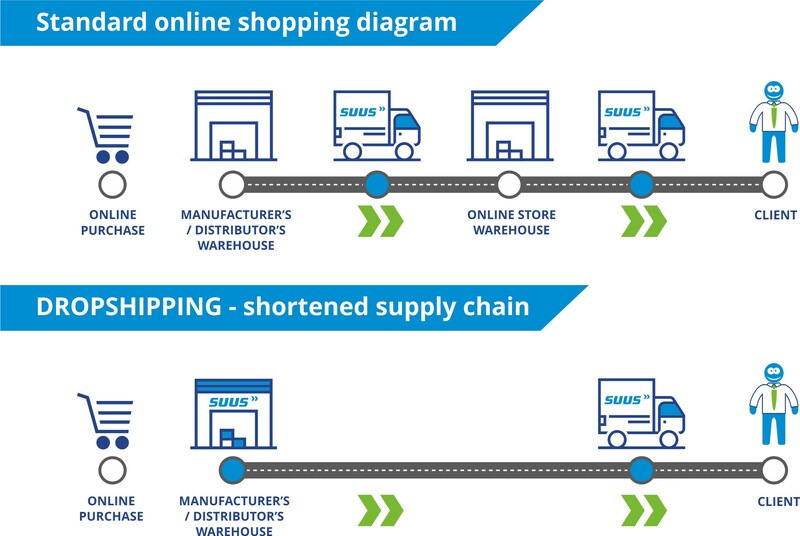 Dropshipping is a logistical model of online sales where the shipping process is handed over to the supplier, i.e. the logistics operator. 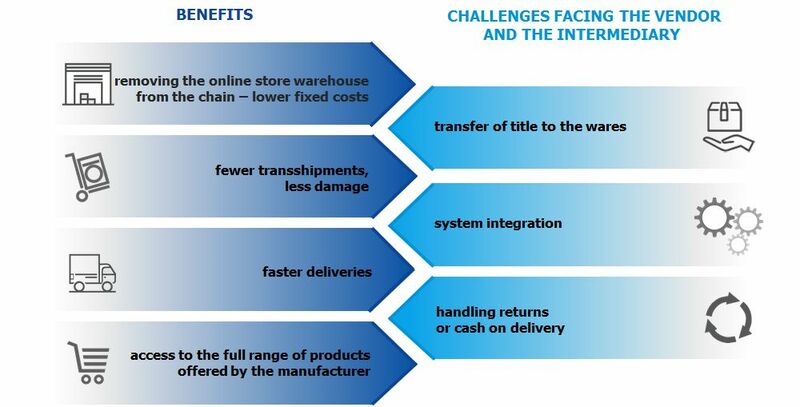 The role of the online store in this logistical model is limited to collecting purchase orders and forwarding them to the supplier, who ships the wares to the customer.